The search for truth is a never ending quest in all our lives. Half truths abound everywhere we turn, and this certainly holds true in the online world. Remember when the earth was thought to be flat? Well, there you go. Can money be made online or can’t it? The truth lies somewhere in between. Below I will detail 10 internet marketing myths that will help you dissect the facts from fiction. Unfortunately, internet marketing will not propel you to millionaire status overnight. Like everything in life, what you invest in your marketing strategy will determine what you get back. Plain and simple! There are no get-rich-quick schemes that are truly viable. Making money online requires a lot of learning, dedication, and trial and error to figure out what works and what doesn’t. Whether you succeed or not is entirely up to you. This might sound harsh but it’s actually really good news as you decide your online fate. This is also not true. It’s not only not impossible to make money online, but, in fact, the possibilities are endless. Does this mean it won’t take hours and hours of effort on your part? No! Again, you’ll reap what you sow. The key to success lies in your ability to persist when things look grim, and be consistent in your marketing strategies. Know upfront that the path to success is not a straight line, – it will take many twists and turns. Learn to accept defeat from time to time, dust yourself off, and get back on task. Develop wisdom, which means learning from your mistakes, and applying that knowledge to your online business. Don’t give up when frustration hits – set backs are inevitable. Accept that highs and lows are all part of the process. Be inspired by the many many people that are making money online, and learn from them! Anything worth achieving in life takes a huge amount of discipline, a willingness to learn, and the ability to apply that hard-earned knowledge. It’s not easy to learn new things, much less, to apply what you’ve learned. An open mind and tons of hard work are necessary. Learn everything you can about online marketing, embrace new ideas, develop strategies, and then implement those strategies every single day to turn your dream into a reality. Anyone can make money online IF they are willing to buckle down, and do the work. It all comes down to your individual work ethic. Again – not true! If you are a cynic, skeptic, and have little faith in yourself, your chances of online success are pretty slim. Although internet marketing can be learned, it does take time to figure it out. You can’t short circuit time. It will take a certain amount of time to absorb, and make sense of everything you’ll need to learn and implement. The only person thwarting your success is you. You control the outcomes. Yes, it requires a lot of hard work, but it’s not TOO hard. Once you get into it, and garner a support system, you’ll find yourself enjoying the new information and skills you’re learning. You have what it takes to succeed online if you have faith in yourself, a burning desire, and the will to do what needs to be done. Look within yourself and ask yourself these questions. What do I know? What do I like? What need can I fulfill? Set yourself apart from the crowd. No, but it will get easier over time as you develop and implement the necessary skills to succeed online. Streamline what needs to be done on a daily basis, and it will become second nature to you. Operating an online business is, comparatively, easier than having a brick and mortar business. You won’t have overhead costs, or the hassle of dealing with inventory, and shipping. That doesn’t mean you won’t have to work hard writing valuable content, optimizing SEO, assessing your niche’s needs, and, then, meeting those needs by promoting your online products and services. You’ll develop your brand, build trust with your audience, and keep up with the myriad of tasks that need to be done. Persevere – Rome wasn’t build in a day! This may be true after your business has become established, and is generating income. You’ll be able to automate your efforts at some point. In the beginning, however, many hours will be spent in front of your computer brainstorming domain names, coming up with taglines, deciding on a niche, building a website, writing content, becoming an affiliate, and learning about SEO. 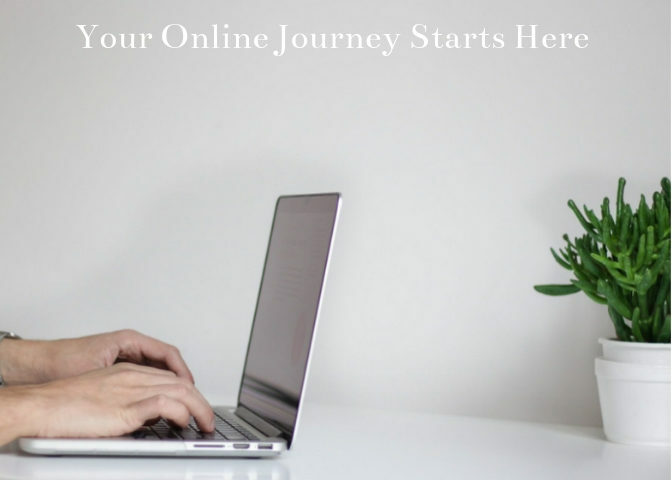 You’ll become adept at running your online business as you become familiar and comfortable with the tasks it takes to succeed online. I advise you not to say this to someone who has just spent eight hours in front of their computer working on their online business. There will always be those who don’t believe money can be made online. Anything that requires hard work is a real job – even though it will take awhile to see the money. The groundwork must be laid, and the price paid, before you’ll generate income. Researching and writing require a lot of mental stamina. You”ll be exhaused in the beginning stages. Ignore those who minimize your efforts. Bask in your successes and keep your failures in perspective. Money will always be part of the equation, but it isn’t the only factor. There’s also a lot to be gained when entering the world of internet marketing, and who can put a price tag on the satisfaction that comes from building something of your own from scratch. Valuable knowledge will be acquired from the hours you’ll spend researching. Becoming an effective writer is a beneficial skill set in its own right. You’ll learn how to plan and organize your time, along with everything else that is required to make money as an online marketer. Learning will make you a more interesting person. And if that weren’t enough – you can set your own hours. Wrong again. Although building a thriving online business requires big-picture thinking, and a long-term commitment, it doesn’t have to take years to start generating traffic, and making money. You do have to be in it for the long haul because the time table is unknown when you’re just starting out. Take advice and learn from successful online marketers. Dedicate yourself to building a profitable online business, and watch your hard work and dedication pay off. Internet marketing is a great way to reach those you wish to serve. It’s also possible to make a comfortable income. If you want to be an internet marketer, then be one. You have the ability to achieve what you set your mind to. Are you an internet marketer? What strategies have led to your success? Please leave your comments and questions below.